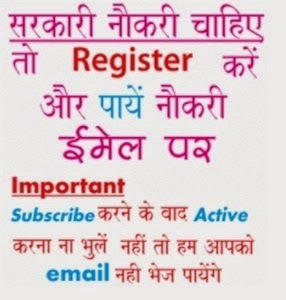 High Court Patna District Judge Question Paper Exam Pattern: Friends now you can check Patna Court Exam Syllabus also High Court State Patna Old Question Papers online as this page is dedicated to give all new alerts on Patna Court question paper pattern district judge exam syllabus. As High Court of Patna has taken written examination for 99 Posts of District Judge Jobs. Interested candidates who are in search of Patna District Judges Exam Pattern, Syllabus and Old Question Papers are provided in this page. More information of Patna High Court Judge Exam Pattern Syllabus regarding written test, marks scheme, viva voce, paper style and Interview etc is mentioned below…………. Any candidate will qualify for interview if he secures minimum 45% marks in each paper and 55% marks in aggregate in the written test. 1) The full marks for screening test shall be 300 and it shall be of 100 questions and each question will carry 03 marks but each wrong answer will incur 01 negative mark. It shall be of objective type. The syllabus shall comprise questions relating to Law (45%), English language (20%), Reasoning and Mathematics (20%), General Knowledge (10%) and Computer (5%). Selection Process- Applicants are selected on the basis of written test, viva voce followed by Interview.